Here at Cleveland Power & Performance we routinely sell our rolling Chassis’ to customers out of state, and sometimes to international customers. 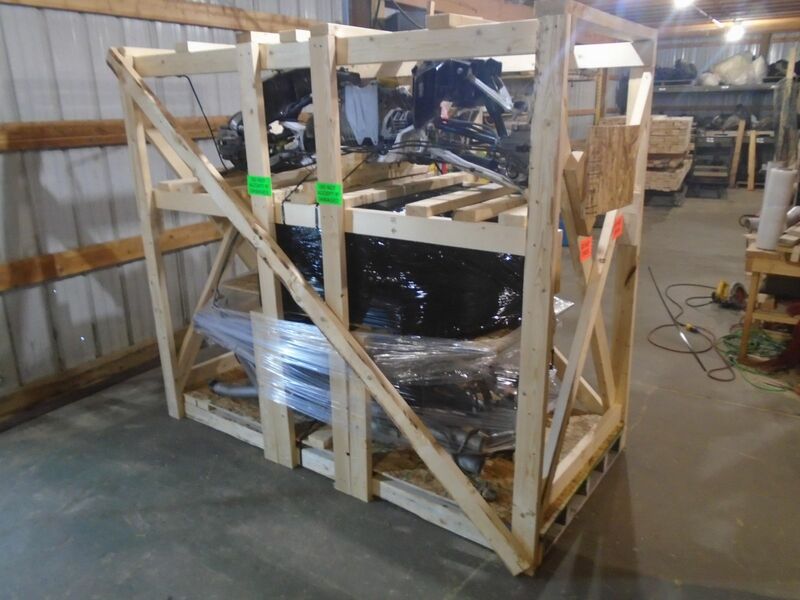 Often, delivery of a chassis in our trailer is not an option, so we have to break them down to ship in crates. 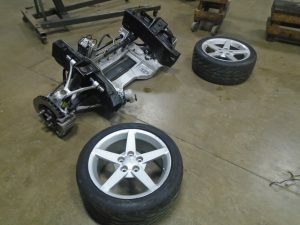 Today we will be going over the process showing in detail how we break our chassis’ down for shipping. 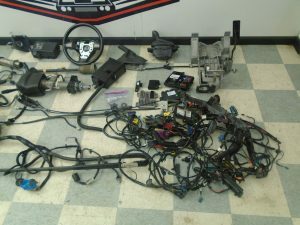 We start out with the complete chassis with all the accessories and harnesses in a box. 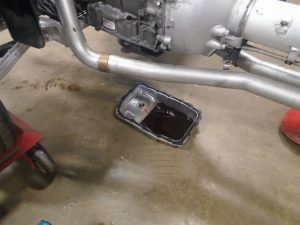 After checking that every part of the chassis is there, we drain all the fluids from it. 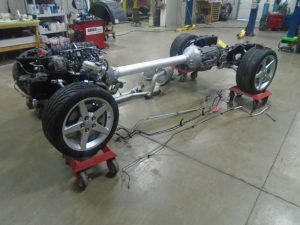 Once all the fluids are drained from the chassis, we remove the lines and exhaust. 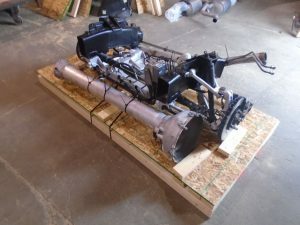 At this point we would then attach the engine to a engine hoist to hold the front steady. 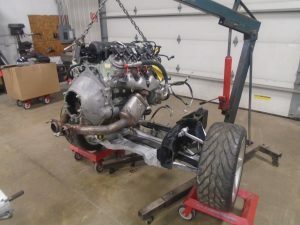 Once the front end is attached we disconnect it from the torque tube. 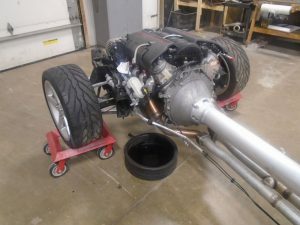 With the front end separated, we then remove the engine from the front suspension. 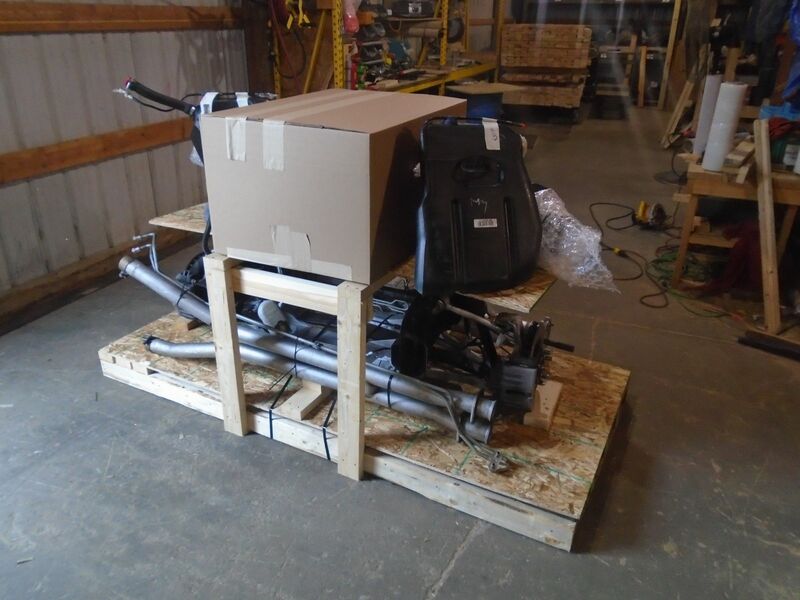 Once the front suspension and the engine are separated, we put the engine on a cart and strap it down. We do this to assure we can move it around safely with out worry. 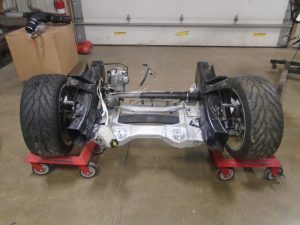 Then we will repeat the process with the rear suspension. The carrier will be unbolted from the transmission, and the wheels removed from the rear end. Now the last part we do for disassembling the chassis is separating the torque tube and the transmission. 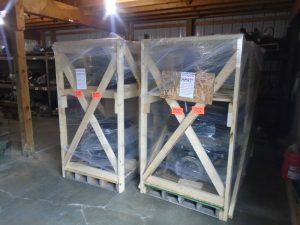 Once that is done we inspect all the parts yet again to assure they are all good, and spin the wheels again to assure they are unbent. 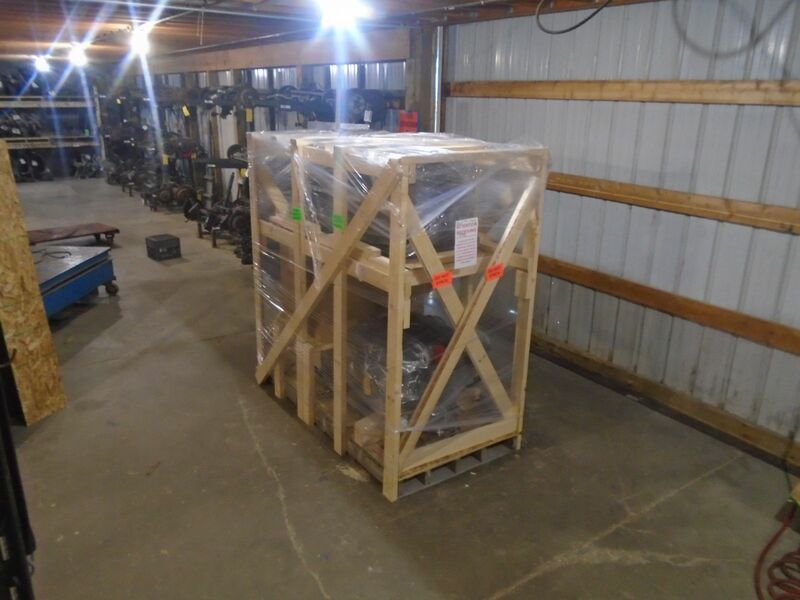 At this point all the parts are placed upon carts and strapped down to assure their safety as we transport it to the Freight Department. 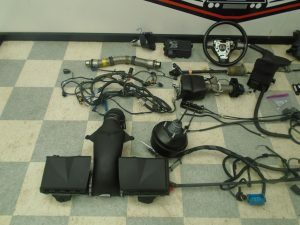 We also open the box of accessories and harnesses to inspect them, to assure they are ready to be repackaged to ship. 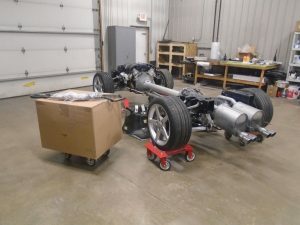 Once the contents of the chassis box is placed onto our picturing area, we go over each part and inspect them yet again to make sure our customers receive everything they need for the chassis. As we inspect each part, we wrap them one at a time and repackage them into two boxes for shipping. After all parts of the chassis are inspected, we sign off that the parts are good and we put “NO OIL” tags on the different sections. 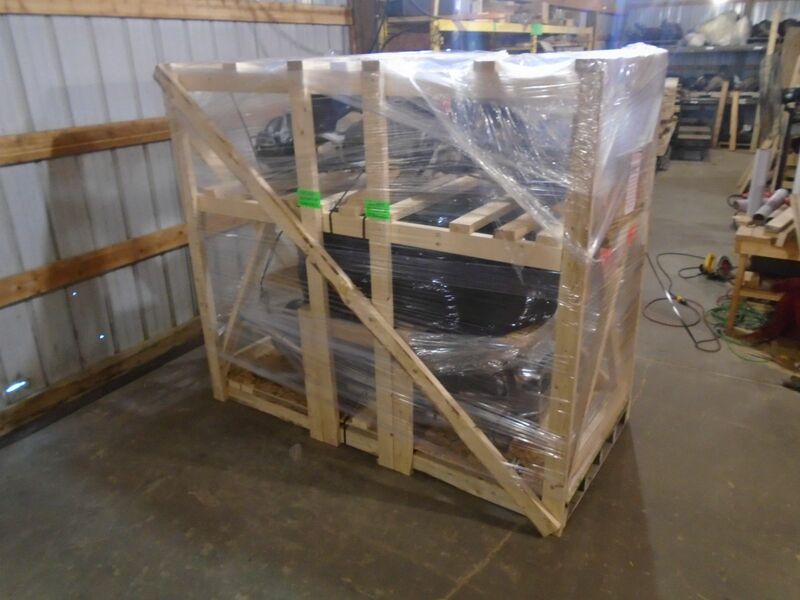 We do this to make sure the customer who receives the part knows with out a doubt that we have drained and inspected the whole chassis before it gets crated to ship. 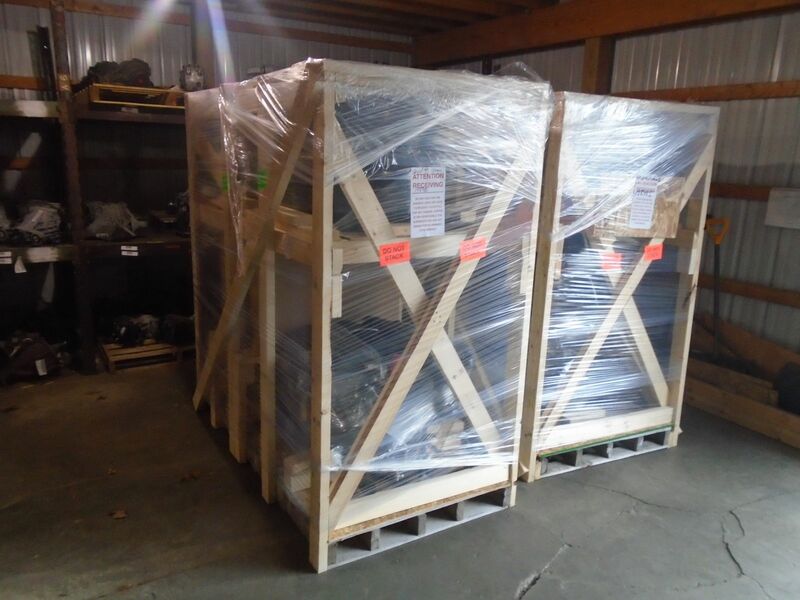 At this point we take all the sections and parts down to our freight department. 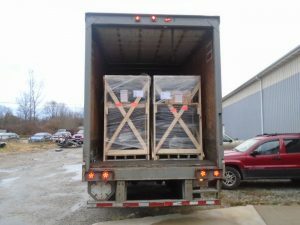 The chassis is divided into two crates for safety reasons. The first crate for the chassis starts with the front suspension being set unto a reinforced pallet. The front suspension is then banded to the pallet and the mid pipe and torque tube are placed into their positions. At this point we add a mid level shelf to the crate. 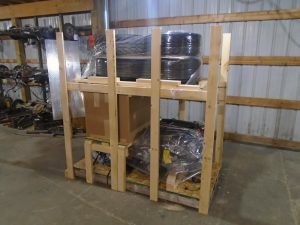 This allows us to place one of the chassis boxes and the mufflers on this crate. When all the parts are were they need to be, we secure everything currently on the pallet with shrink wrap. 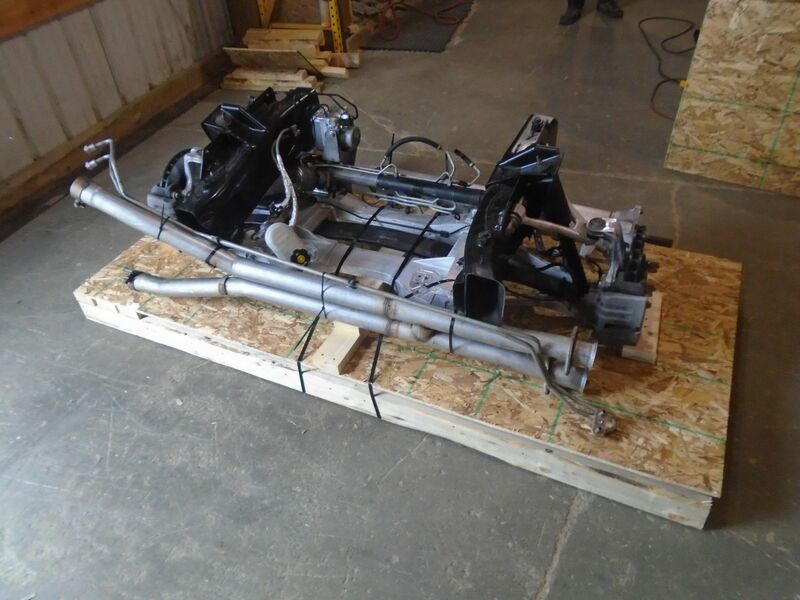 Then we build up a second section of the crate and place the rear suspension on it. 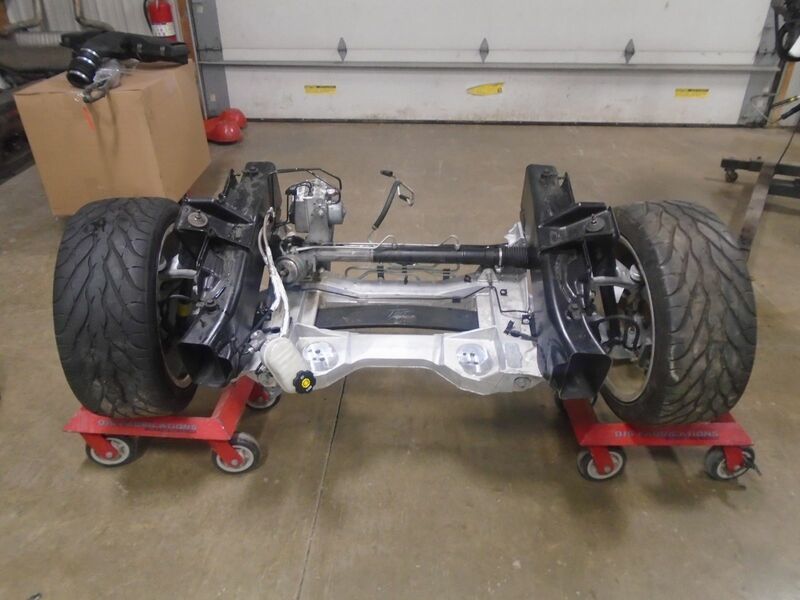 The rear suspension is also banded. 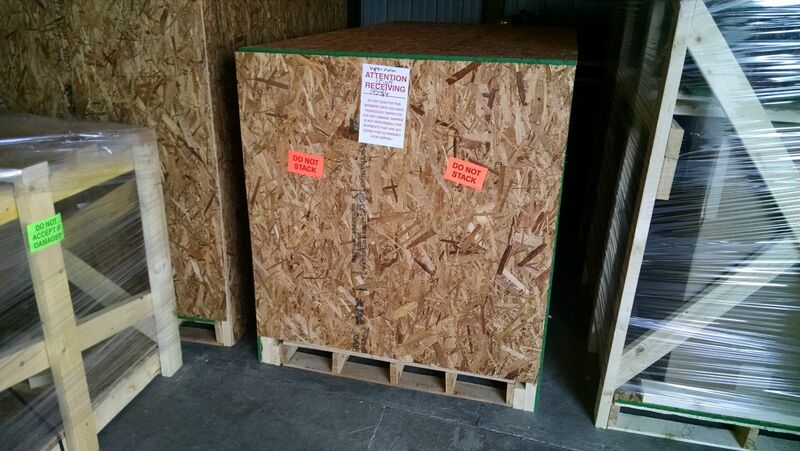 With everything for this crate secured, we go over the whole thing one more time before we finish the crate. 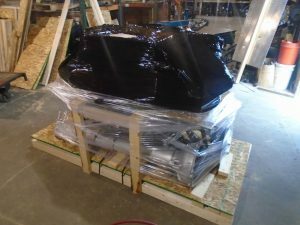 Once the crate is complete, we finish it off with a few layers of shrink wrap and place the shipping tags on it. 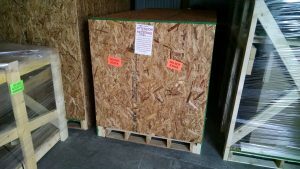 With the first crate done we start on the second one. 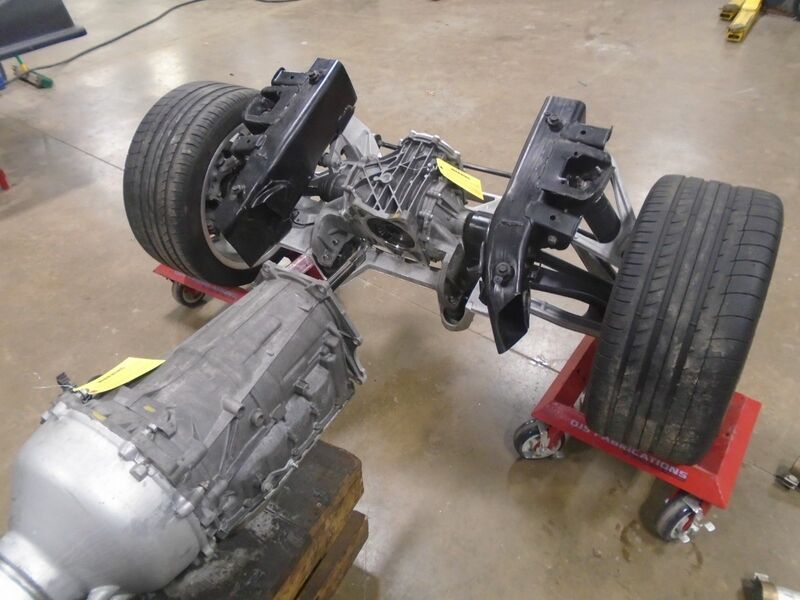 This one starts out as another reinforced pallet which we place the transmission and engine on. 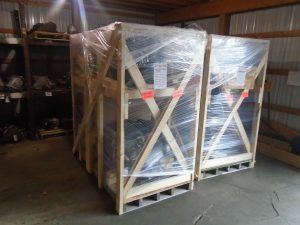 Both of these parts are then secured so they can not move. The engine is also bolted down to the pallet. 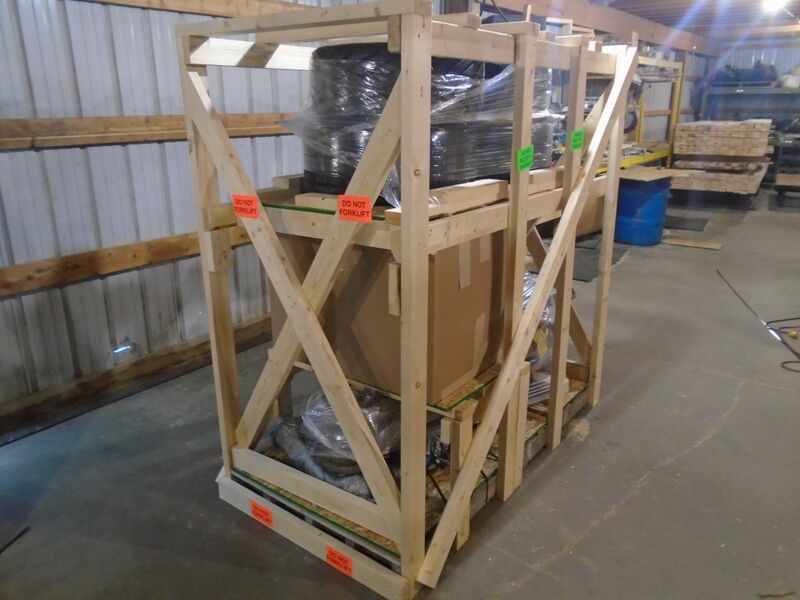 With the bottom of the crate complete, we move on to the next section. 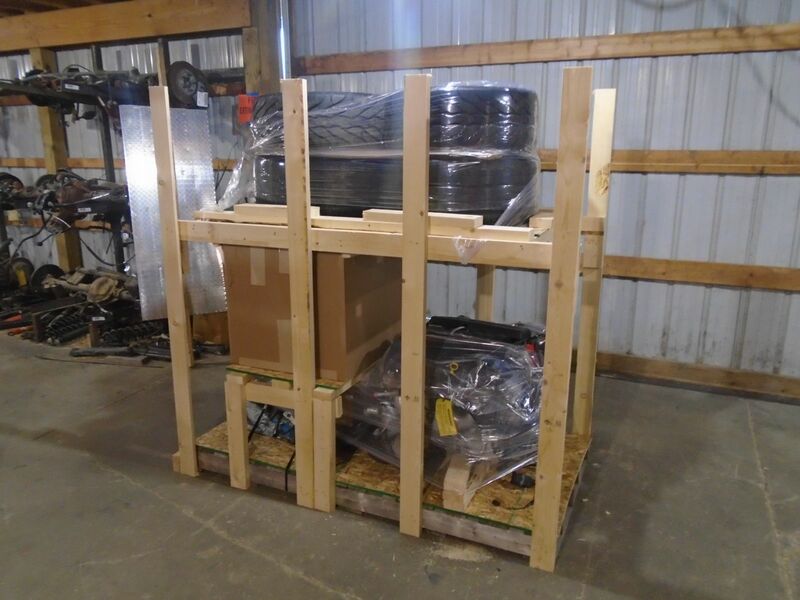 We build a small shelf for the second chassis box, before we move onto the top section of the crate. The last thing to be placed onto this crate would be the four ( 4 ) wheels placed on the top shelf of the crate. 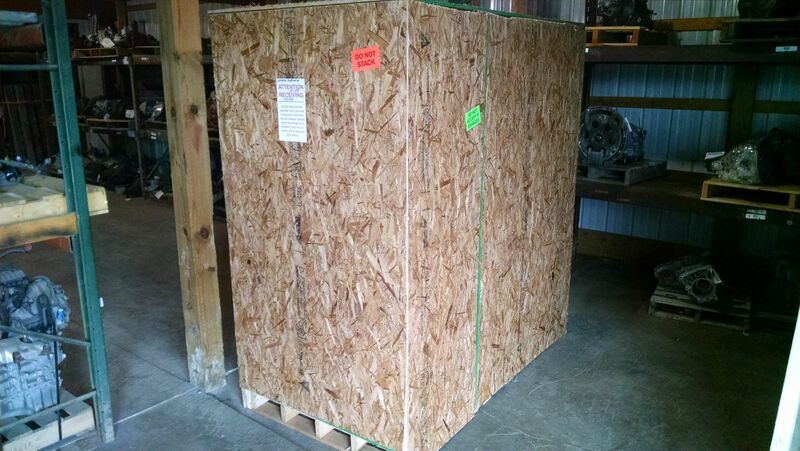 Now as with the last crate we shrink wrap all the parts, and complete the crate. With the crate complete, we now shrink wrap the whole crate. 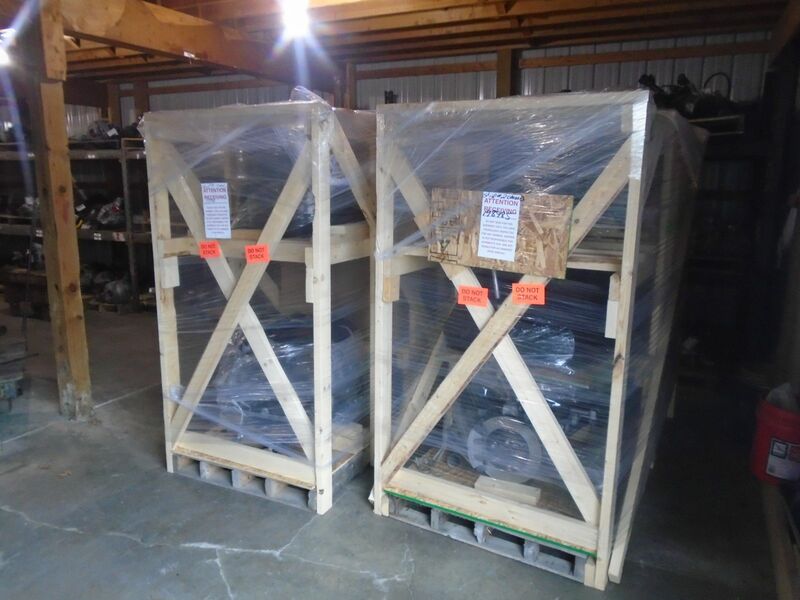 Now both crates are completed they are set out of the way by the freight door to await pick up. 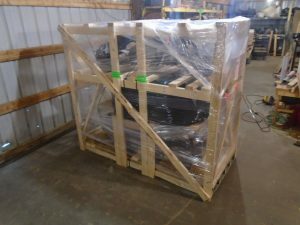 We make sure all the proper labels are placed upon them, and that all the shipping information is correct for the chassis. 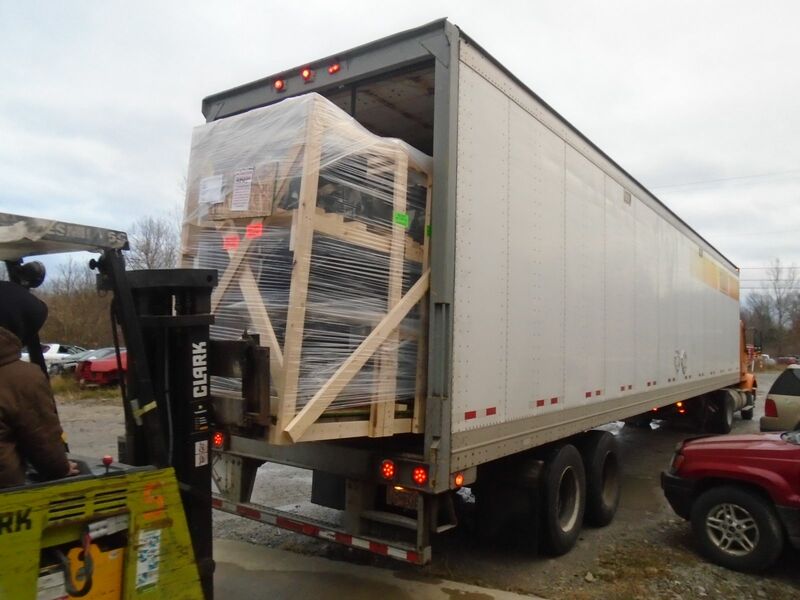 Now the final step in the whole process is when we finally load the chassis crates onto the freight truck. 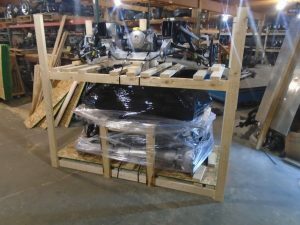 At this point the chassis is on its way to its new owner, all safe and sound. 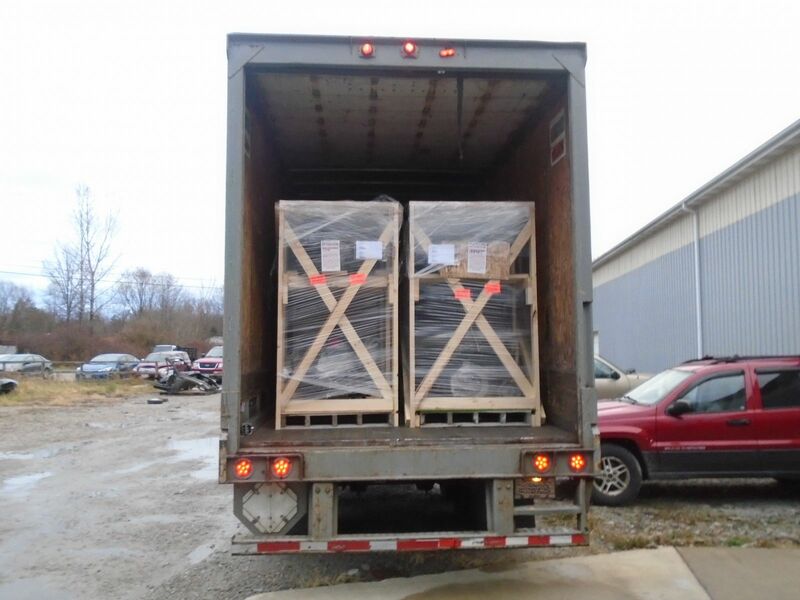 If you need to ship your chassis internationally, we fully crate and enclose them with plywood. 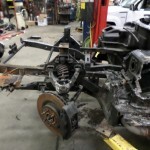 This is how we break down and crate a whole chassis. We make sure to inspect it all, along the way, to assure that every part of the chassis reaches the customer in full working order. As always, feel free to email or call us with any questions at clevelandpap@yahoo.com and 866-236-5031. 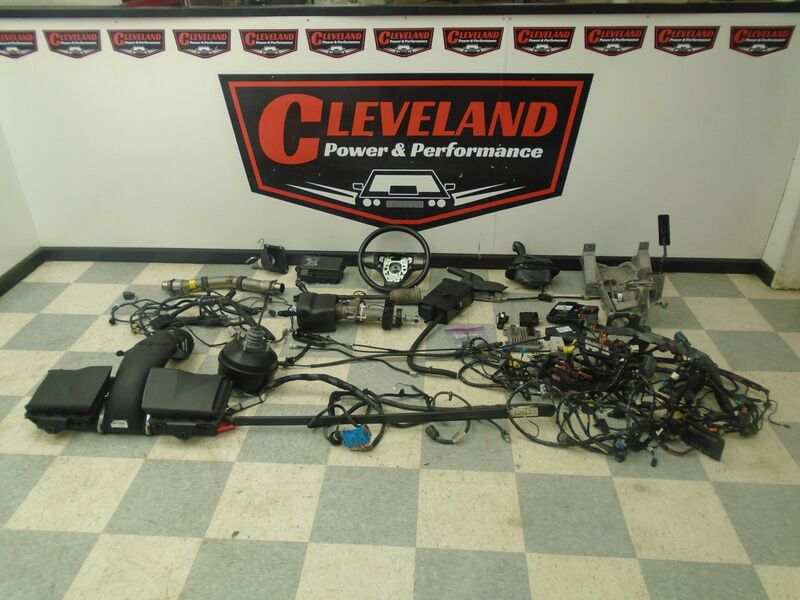 Cleveland Power & Performance Named in Several Articles on Jalopnik! 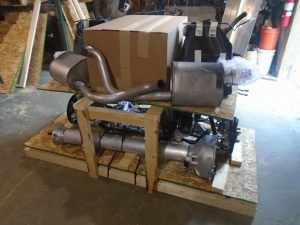 Recently, a few customers have brought to our attention being named in several Jalopnik articles in the last few weeks. Jalopnik is a weblog covering cars, car culture, and the automotive industry. 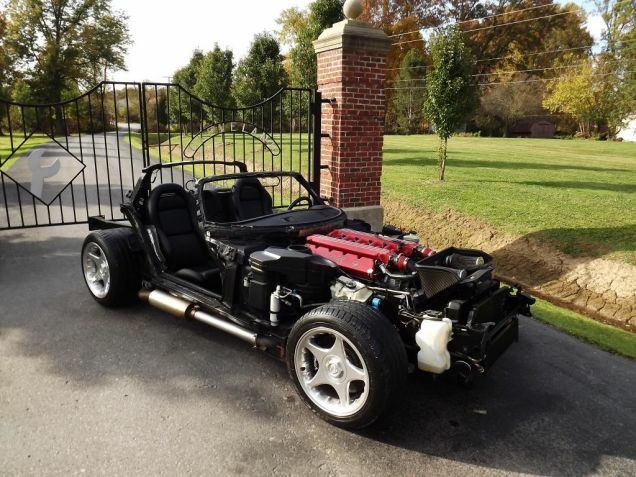 Owned and operated by Gawker Media since 2004, Jalopnik emphasizes rare finds and interesting stories in the automotive world. Jalopnik receives over 40 MILLION page views a month, so it is no wonder the two articles below have reached some of our previous customers. 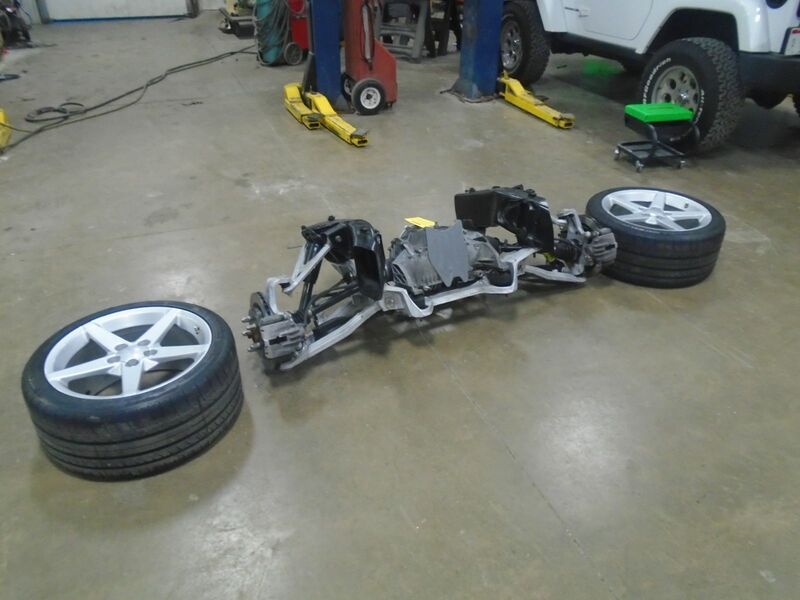 Need a rolling C5 Corvette chassis? This is your junkyard. 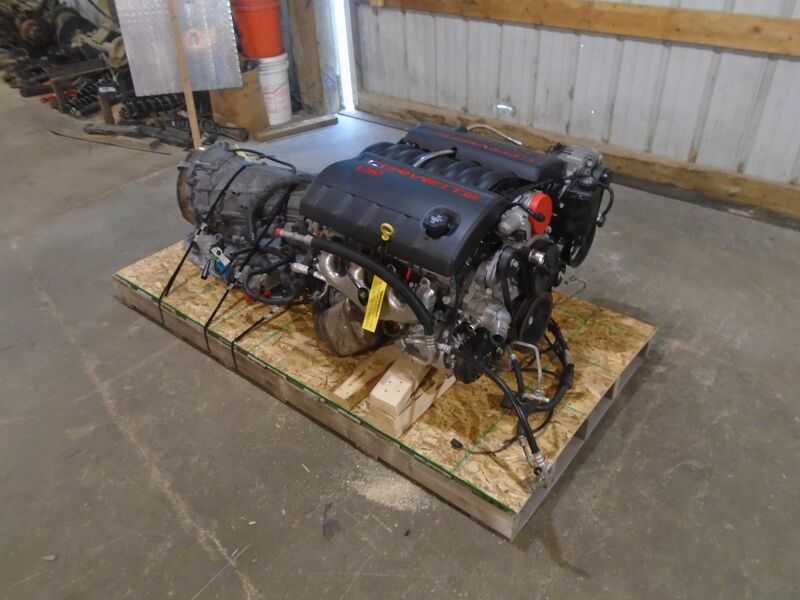 We are world renown for our Corvette rolling chassis and other drop outs. 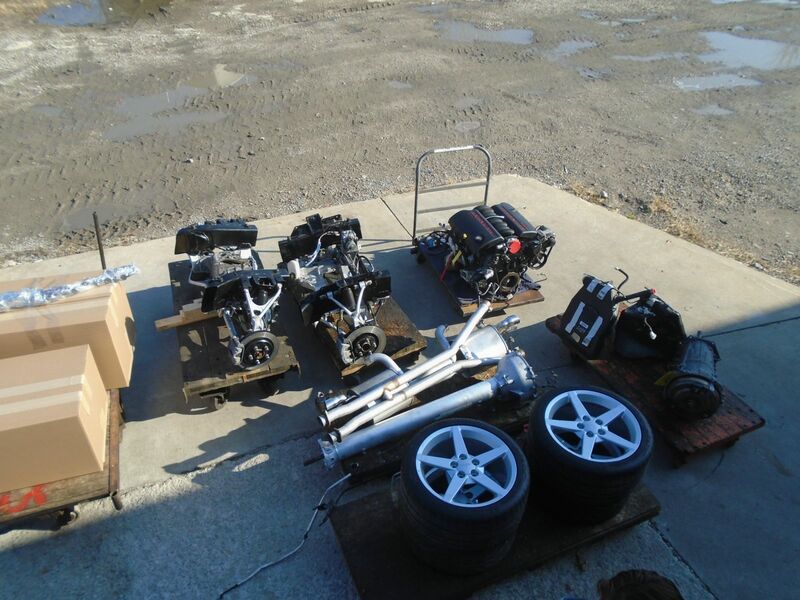 But we never though it’d lead to being one of the top junk yards in the world! While we love the recognition for the unique projects and creations we provide to customers and shops around the world, we love the comments left by previous customers even more. 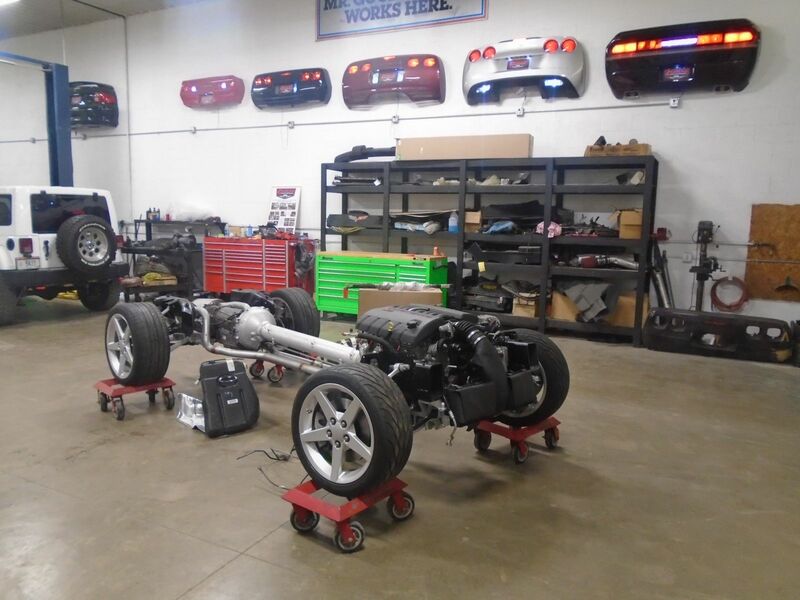 Positive feedback for our service is what sets us apart in the automotive industry, and we strive to continue to make sure each and every one of our customers get the best possible experience when buying a chassis, driveline, or any other part. Plenty of great comments on that article as well, and plenty of future projects that could be attempted. 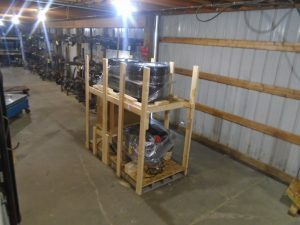 We are always proud to be featured in the community’s spot light, and look forward to sharing more articles with our customers! We thank you for your support, and look forward to providing every country in the world with unique, high performance domestic sport vehicle donors and chassis! Over the years, we at Cleveland Power and Performance, have transformed many wrecked vehicles into running and driving go-karts for use in resto-mods and custom builds. 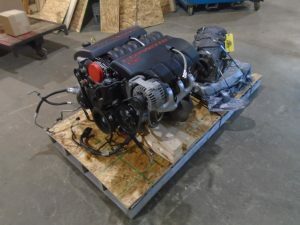 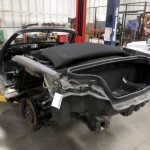 Follow this blog to see how we turned this lightly burnt car into the prefect platform for any Mopar enthusiast’s project, a 2003 Dodge Viper SRT-10 Salvage Donor. We have seen our Viper donors used in some very wild applications. 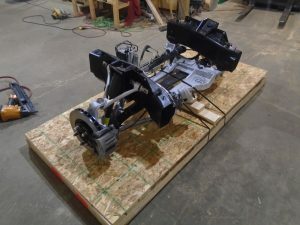 They have proven to be pretty versatile chassis’ for some of the coolest builds we have seen. 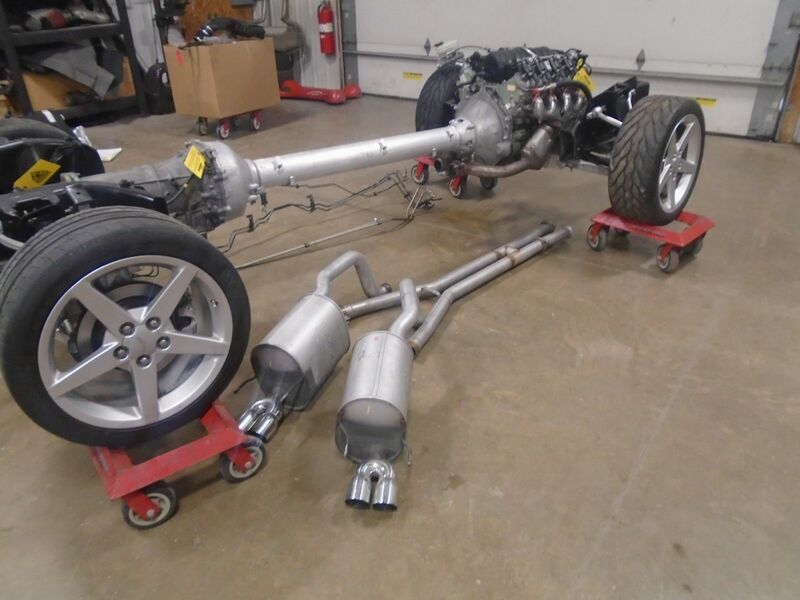 Many of these Viper donors also end up on other continents, burning rubber abroad. 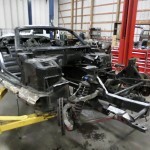 We start each and every donor build by striping away of the unnecessary clutter to see what we have to work with. 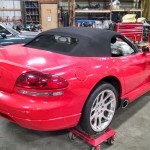 On this viper, all of the body panels and exterior components were removed to reveal the heart and sole of the vehicle. We then remove the drive train to send to our engine room for inspection. 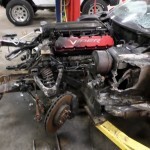 The engine and transmission were inspected for any damage. 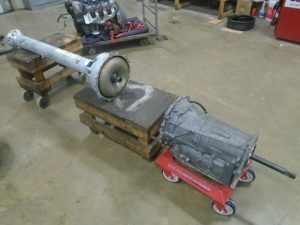 Both were signed off on by our highly trained technicians. 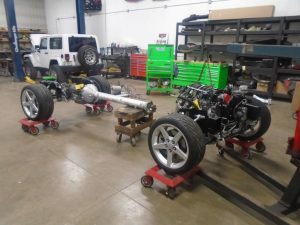 We check all of the suspension components to make sure they are true and straight and replace any parts that are damaged. 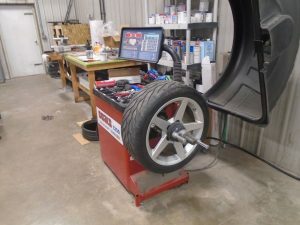 We do the same with any electronics and wiring that need repaired. 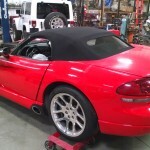 On this particular Viper we replaced the left hand front suspension components due to fire damage. 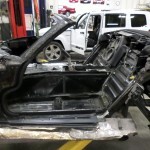 We also repaired some harness that was lightly burnt from the fire. 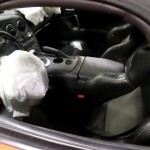 The outer cowl, dash, air-box, and several other interior components were also replaced. 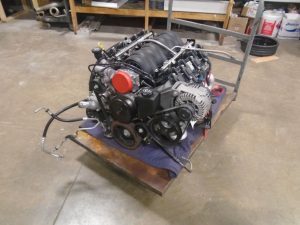 We ordered and programmed a new engine computer and replaced the radiator with a brand new unit. 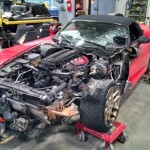 Please stayed tuned to our blog for the conclusion of this 2003 Dodge Viper SRT-10 Salvage Donor build! 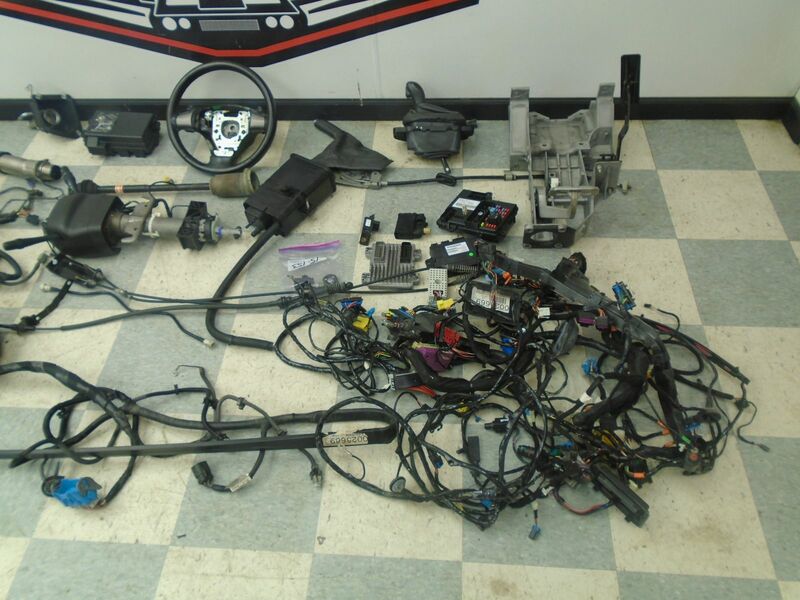 The car should be running and driving in no time at all. Once she is done, she will be offered for sale so let us know if this donor might work in your project.